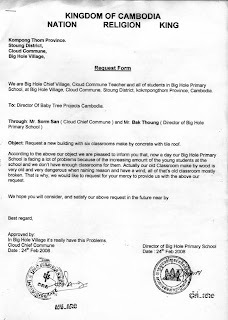 This is the letter from Big Hole Village requesting help from BabyTree Projects in English and Khmer. 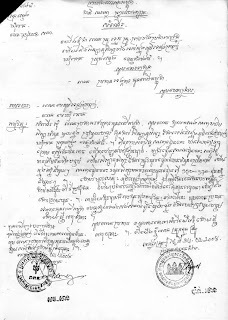 It is written by the village chief and has been translated by Cha, our volunteer in Cambodia. Click on image for larger picture.